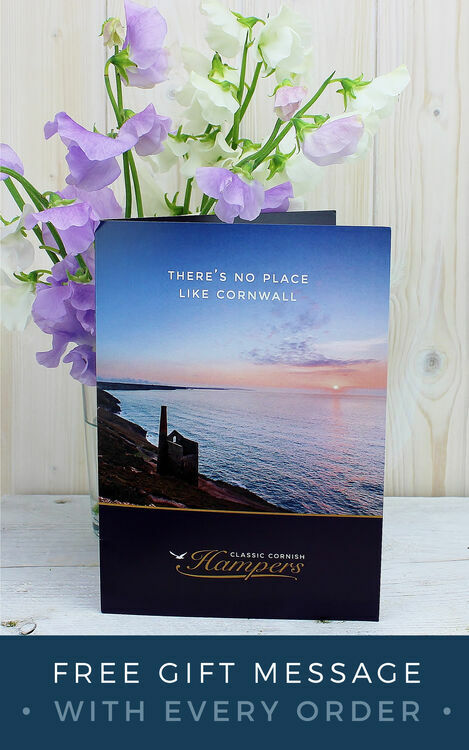 Treat your special someone to an anniversary gift they deserve with this fantastic Cornish hamper, packed full of indulgent treats for them to enjoy. 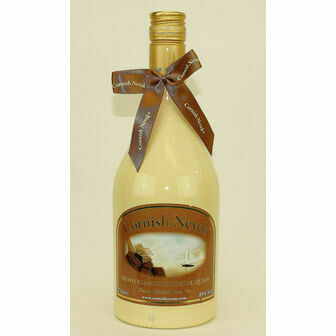 1 x Cornish Nevek Liqueur (70cl) - A creamy, smooth liqueur with a hint of chocolate (ABV 15%). 1 x Trenance Luxury Handmade Chocolates - A box of six luxury handmade chocolates. 1 x Kernow Sea Salt Chocolate (100g) - Milk chocolate with a hint of Cornish sea salt. 1 x Buttermilk Double Chocolate Fudge (175g) - Rich chocolate fudge, marbled with Belgian white chocolate. 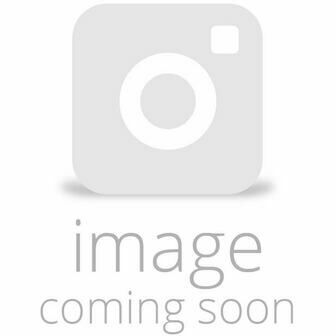 1 x Furniss Clotted Cream Shortbread With Chocolate Pieces (200g) - Traditional shortbread with chocolate chunks.